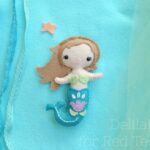 I am on a mission to make a whole grocery bag full of Felt Food for Pip Squeak’s 1st Birthday – so far I have one Gingerbread Man, 8 gorgeous Strawberries and 3 donuts (or doughnuts, depending from which side of the pond you are visiting)! I am yet to make some Cream!!! 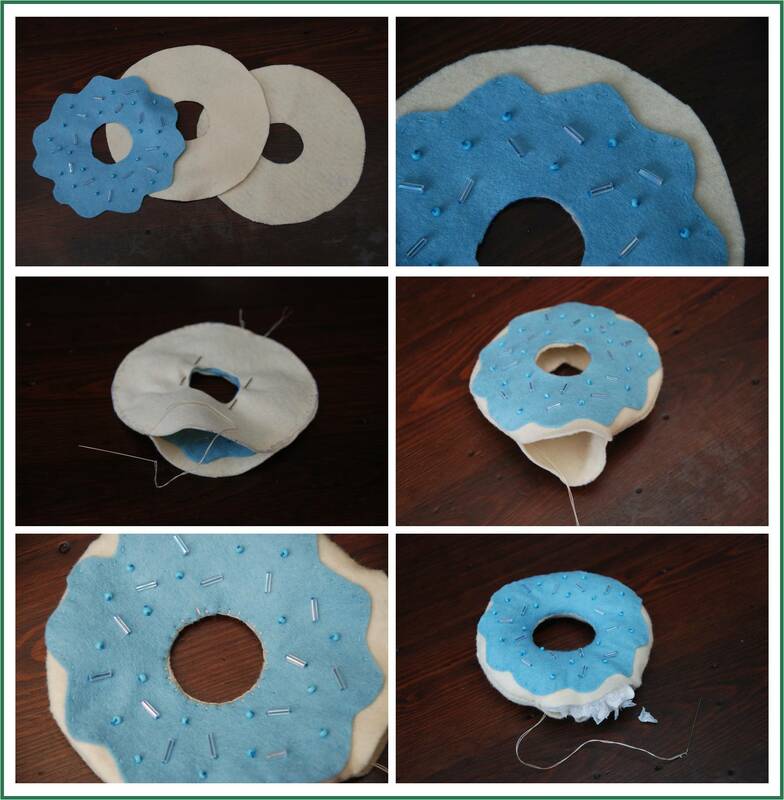 Here I will show you How To Make Felt Donuts – 2 with sprinkles and 1 with icing. The basic donut is always the same, the only thing that differs, is the decor! 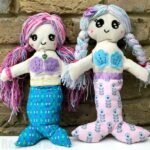 I am also pretty certain you can follow my steps below and use a sewing machine, I chose to hand sew! Step 2) Fold single colour (i.e. icing) into a quarter and cut a wiggle line. Open, trim a little if needed, but don’t cut away too much. 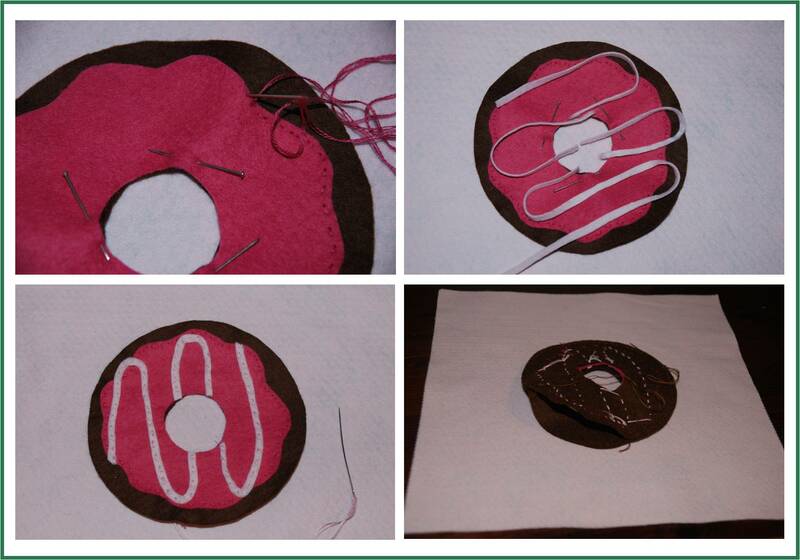 Step 3) For sprinkles sew on beads/ “nuts” first,then attach the icing onto one of the donut pieces (cream felt) with a running stitch. 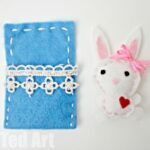 For the Choc& Nuts: Do French Knots – shown how to here. I LOVE the French Knot Donut the most as it is VERY tactile and safe for my one year old (better than the beads, which are dangerous, she will not be allowed it at first). 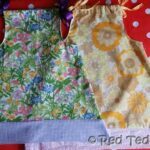 For the swirly icing, I found it easier to sew on the pink first and then add the swhirly bit: A very thing strip of felt sew on with a running stitch. The felt may break, so be very gentle. 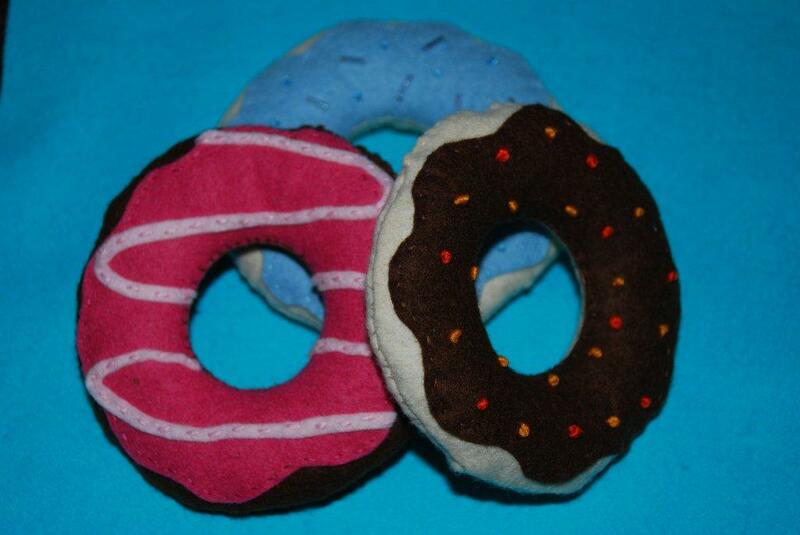 Like I said, my favourite is the “Choc & Nut” Donut, as the French Knots are very tactile and safe for 1yrs olds! You are such a clever lady! A whole bag of groceries?!! You could use these to hold long hair in like scrunchies! Oh these are just fab! I love them. Yum! Oh what fun! I love felt food. Thanks so much for linking up to Finished for Friday. These are some great tips… next time I attempt these- it will go so much smoother because of this. Thank you! Very cute!! 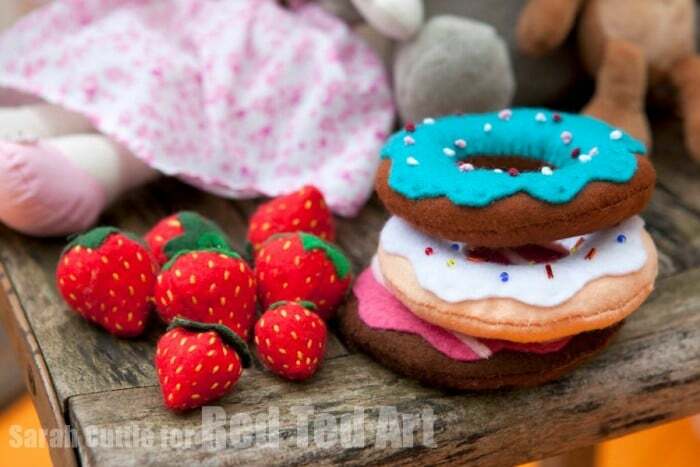 Felt food is adorable! Just found you through Sew Cute Tuesday. 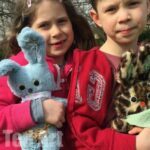 Great felt food! and it looks like you have many other great ideas! 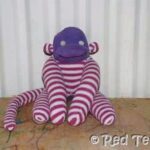 I’m off to explore your blog some more! Hi Jill! Thank you for your lovely comment!!! Do have a good nosey around – so much “stuff” – get lovely people to contribute amazing ideas, great if they get more visibility!!! Enjoy. So cute! These would be great as favors for any sort of bruch get-together, in “flavors” to match the theme. 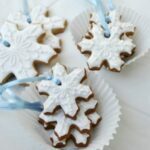 I need to make these, definitely! What else are you going to make? One of my girls turns two this month, so I’d love to do a kitchen/fake food set. The felt food is always so much more appealing than the plastic stuff at the stores. I’m going to be featuring this tomorrow! Thank you! Have updated my post!! Much appreciated! Thanks for joining us at “AP Tuesdays!” @ New Nostalgia! Hope to see you again tomorrow! 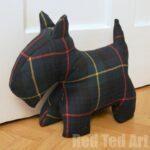 I love the idea of using plastic bags as stuffing! Perfect for my sons kitchen- I hope he doesn’t eat them! Come and share this at Workshop Wednesday! Love love love these!!! How clever!! I’m hungry now lol!! Those make me hungry but they are super stinkin’ cute! These are great! I have to make pancakes for work, do you think this same rule will apply, minus the hole in the middle of course?